PhD student Sharada Navada in CtrlAQUA shows her research, which is about technology in indoor aquaculture. She investigates how fast one can switch from freshwater to seawater in the facility, without affecting the water cleaning capacity of the biofilter. ‒ Like all organisms, fish eat and excrete ammonia into the water, a compound which is also found in urine. Clearly they cannot live in a closed system for long without some water cleaning. So we use biological filters to remove this ammonia, Navada explains. A biofilter is filled with water, in which small pieces of plastic biomedia are churned by bubbling air from the bottom. These little pieces of plastic are covered with biofilm. The biofilm consists of thousands of bacterial cells. These bacteria eat up the ammonia. 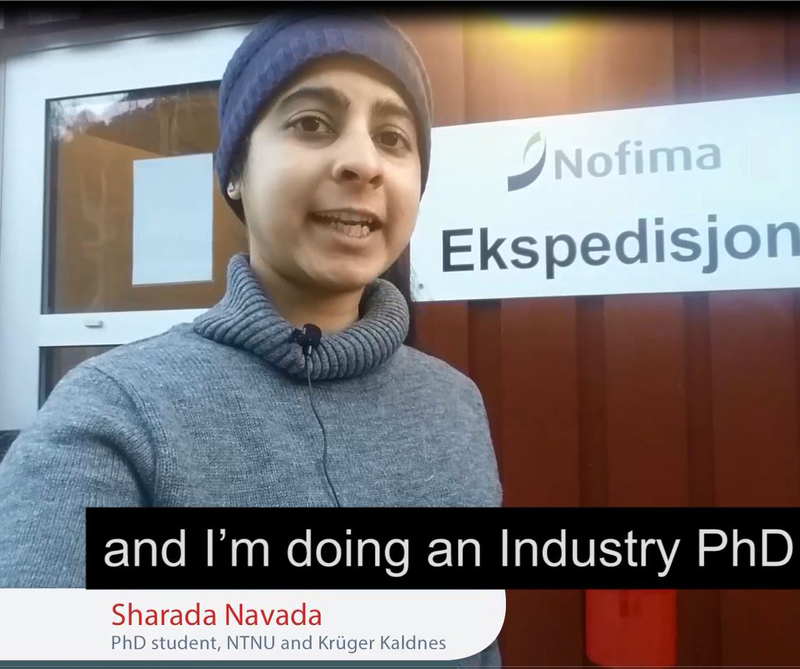 In this film, Navada shows her experiment with biofilters at Nofima in Sunndalsøra, with help from student Chris Verstege. Navada is doing an industrial PhD with Krüger Kaldnes, NTNU and Nofima.